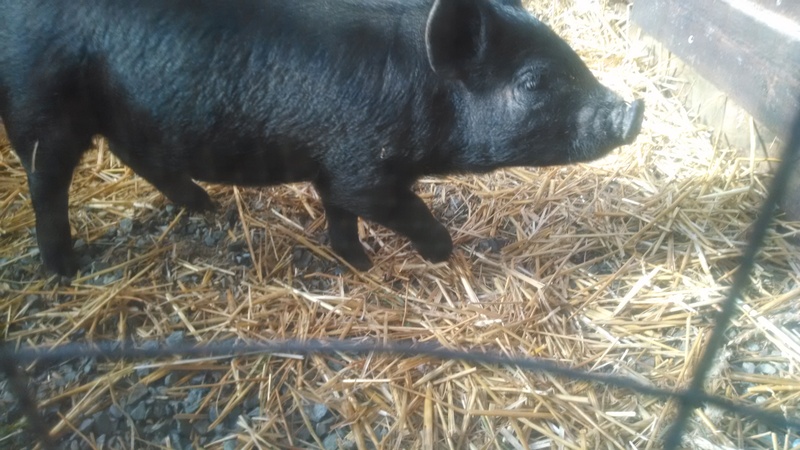 We have a new pig!! DDD is an American Guinea Hog. She is still a bit shy after having been separated from her litter mates. My husband created a comfy room for her in the barn for now but soon she will get to be outside on pasture. She likes the idea of being hand fed fresh squash seeds from the Acorn squash I baked last night. And she let the granddaughter tickle her tummy. Follow her progress here . . . . . . . .